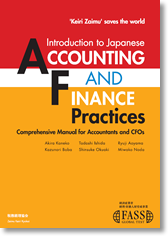 Comprehensive Manual for Accountants and CFOs. Copyright © Japan Association for Chief Financial Officers . All rights reserved.